NEW YORK (AP) — In a year dominated by such anti-Trump best-sellers as “Fire and Fury” and “A Higher Loyalty,” a conservative counter-wave is growing. Over the next few months, at least half a dozen pro-Trump and/or anti-Russian investigation books are scheduled. They range from insider accounts by former White House officials Sean Spicer and Anthony Scaramucci, both of whom have defended President Donald Trump despite their tumultuous times in Washington, to books from such Fox News regulars as Jeanine Pirro, Alan Dershowitz and former Rep. Jason Chaffetz. 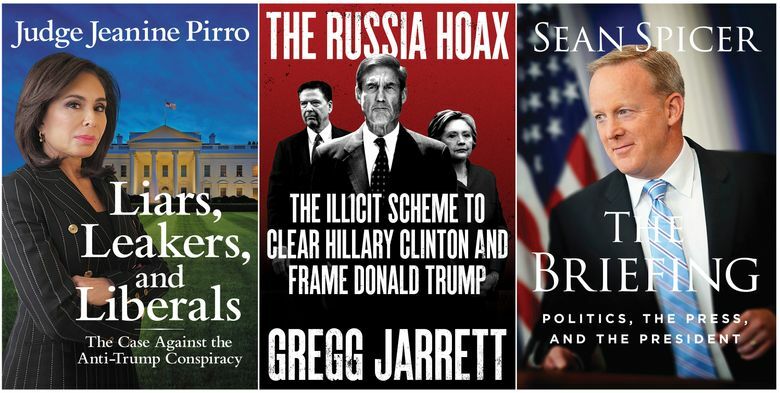 Several of the upcoming releases serve as a publishing arm to the Trump-led attack against special counsel Robert Mueller’s probe into his campaign’s Russia ties. None of the upcoming works are likely to approach the popularity of “Fire and Fury,” the Michael Wolff blockbuster which has sold over 1 million copies, or James Comey’s “A Higher Loyalty,” which has sold hundreds of thousands of copies. 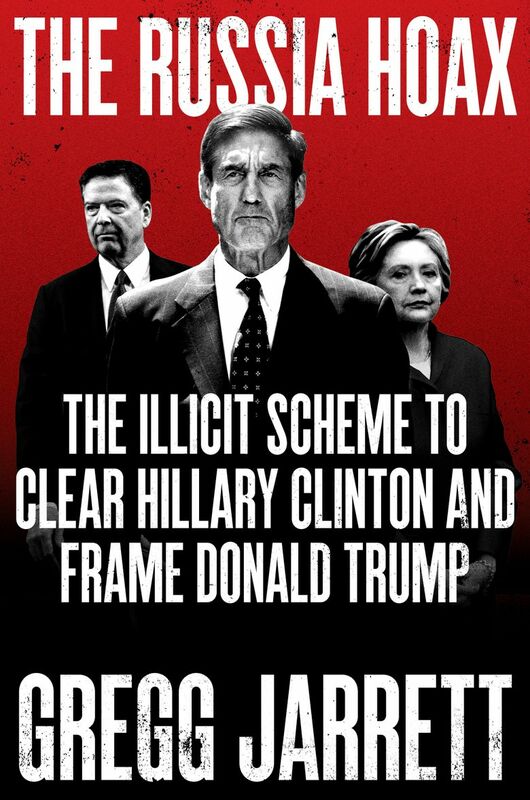 Comey, the FBI director whom Trump fired last year, described the president as “unethical, and untethered to truth and institutional values.” Wolff’s book made headlines with a quote from former Trump adviser Steve Bannon, who labeled as “treasonous” a decision by Donald Trump Jr. and others to meet in the summer of 2016 with a Russian attorney claiming to have incriminating information about Clinton, the Democratic presidential nominee. But sales have been solid for pro-Trump releases, some promoted on Fox and other conservative outlets, and by the president himself. According to NPD BookScan, which tracks around 85 percent of print sales, Corey Lewandowski’s and David Bossie’s “Let Trump Be Trump” has sold more than 100,000 copies since coming out last December, Newt Gingrich’s “Trump’s America” more than 50,000 copies since early June and Jerome Corsi’s “Killing the Deep State” more than 60,000 since May. 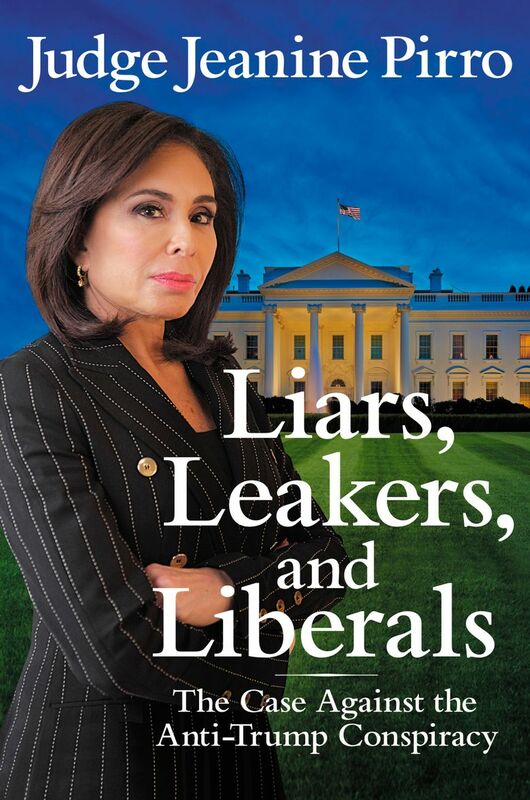 Pirro’s “Liars, Leakers, and Liberals: The Case Against the Anti-Trump Conspiracy” reached the top 300 on Amazon.com’s best-seller list three weeks before publication. Jarrett’s book, which Trump called “A MUST READ!” in a May tweet, made the top 300 a month before its release. “There’s an audience out there and we’re trying to serve it,” says Rolf Zettersten, founder and publisher of the conservative Center Street imprint, where authors include Gingrich, Lewandowski, Scaramucci and Pirro. Zettersten started the Nashville-based Center Street, part of Hachette Book Group, in 2004 as a publisher for books appealing to the “heartland.” He said that Trump’s election had led to a bigger market for topical works. “I think it speaks to the sense that we’re more polarized than in years past,” he says. 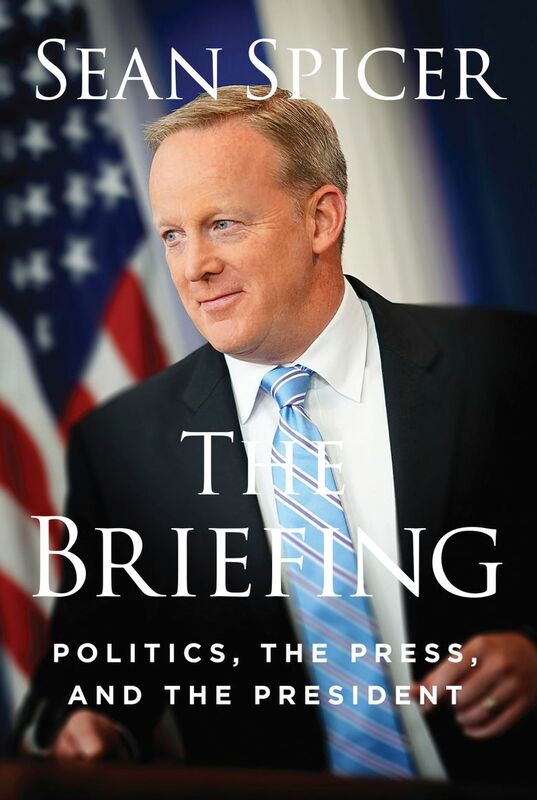 Publishing usually works inversely to whichever party controls the White House. The presidencies of Bill Clinton and Barack Obama brought on a wave of conservative best-sellers and helped lead to the rise of such pundits as Glenn Beck, Ann Coulter and Bill O’Reilly. While George W. Bush was in office, liberals responded with publications by Paul Krugman, Michael Moore, David Corn and many others. Al Franken, not yet a politician, wrote the 2003 best-seller “Lies and the Lying Liars Who Tell Them: A Fair and Balanced Look at the Right.” Dozens of anti-Trump works have come out since he took office and the number grows steadily. But the upcoming pro-Trump publications reinforce the difference between his time presidency and those of his predecessors. As Richard Nixon faced the 1970s Watergate scandal, few books came out in his defense and none compared in impact to “All the President’s Men,” the best-seller by Washington Post investigative reporters Bob Woodward and Carl Bernstein. The most notable pro-Nixon release was “The Personal Nixon: Staying on the Summit,” by presidential supporter Rabbi Baruch M. Korff, who at the time said he had personally financed the 1974 book. Now, the conservative movement is far more organized, and publishing far quicker. The stakes may also be higher. Presidential historian Michael Beschloss noted that Trump, unlike Nixon, was “not only in a position to run for re-election but also facing a midterm, in which his approval rating will be an important factor.” Elizabeth Drew, the author and longtime political reporter, struggled to cite any pro-Nixon books during his White House years. She called the pro-Trump books a “phenomenon” unique to his presidency. “Trump is the first of presidents in trouble to fight the investigation of them so hard,” she said.